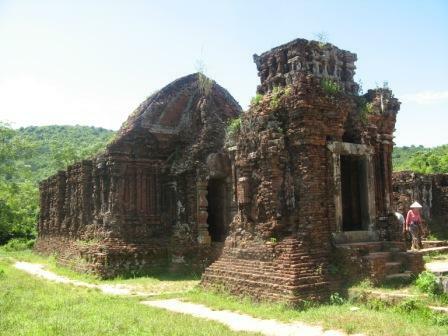 The Champa Kingdom developed on the coast of Vietnam between the 4th and 13th centuries. The kingdom displayed spiritual and architectural influences from Indian Hinduism. The ruins at My Son, the religious and political capital, comprise a series of impressive and well preserved tower temples located in a secluded valley. Organised group tours: Click here to see 21 tours to Vietnam which may include My Son.